So you built a website for your business. Awesome! Now you just have to sit back, relax, and wait for your customers to start knocking at your door. Right? The truth is, you could build the world’s most beautiful, fully-featured, interactive masterpiece of a website… but if nobody knows it’s there, it won’t get you any customers. The Internet is built on links. Google uses the trust passed down through millions of websites – from government organizations to renowned colleges and universities, all the way down to your site – in order to rank and categorize your website. But if you don’t have any links, your website is essentially an internet orphan. Google’s robots won’t know where to place you in their vast index – they won’t even know how to find you! And even if you submit your website directly to Google, as more and more time passes, a lack of links to your website is a glaring warning sign that it can’t be trusted. Why else would nobody link to it? Do any search on Google and you’ll start to see some familiar names coming up time and time again. Wikipedia. Yahoo. WebMD. CNN. These sites have achieved an incredibly high level of trust from Google, in part because of all of the links they have earned from other trustworthy sites. Fortunately, you can pretty easily get some of that trust for your own website, too. This post will teach you how to build your first link – maybe even your first five! An important thing to realize as you set off on your quest to learn how to build a link is that not all links are created equal. Sure, you could pay someone from Fiverr $5 to blast your site with 500 free directory links, but it will probably be the worst $5 you ever spend. Generally, the harder it is to earn a link, the better that link is. Paid links are generally considered “easy”… even dangerously easy. Google does not take kindly to webmasters trying to artificially manipulate their placement in the search results by paying website owners to give them a link. You can read about Google’s policies on paid linking here. However, that doesn’t mean that every link worth getting is hard to get. Here are five types of links you can go get right now – and they’re all relatively easy to earn, even for a first-time link builder. It’s a no-brainer, but still a great place to start. 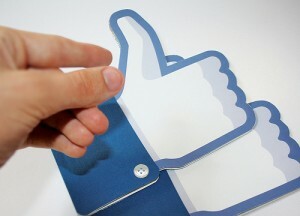 Do you include a link to your website on your business’ social media accounts? If you have a Facebook page or Twitter account set up that you are using, you should be sure to include your URL in your profile. These aren’t the highest quality links, and you shouldn’t sign up for a bunch of sites just to get a link in your profile, but it makes sense to add your link to ones you’re already using. Plus, it’s just nice for usability – these are links that your visitors and social followers are pretty likely to use in order to reach your website. If you’ve been in business for a while but have just built a website, chances are that your business has already been mentioned somewhere on the web. Even if you’ve just founded your company, you might be able to find some mentions. Google for various spellings and versions of your business’ name, as well as the city you’re in. If you find any mentions, try reaching out to the webmaster and seeing if they’ll link to your business, since they’re already mentioning it. But you can’t keep Googling continuously to try and find new mentions. That’s where Google Alerts come in. Set up a few alerts with your name and your company’s name. Next time somebody refers to you on the web, you should receive an email alerting you to this fact. From your chamber of commerce to your local paper, there are probably a lot of contacts in your community or from your business that would be happy to link to you. These organizations often have some of the highest value (most trustworthy) domains in your local area, and links from them are perfectly natural. 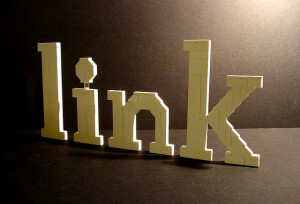 Read our post about earning backlinks in real life to find out how to snag these opportunities. If you sell products, there’s a chance someone on the web has reviewed your product. Do searches and set up alerts for your best-selling products (like you did for your brand name) so that you can catch these mentions and ask for a link. Some businesses have also seen success building links by sending their products to bloggers to review, but this can be murky territory. Officially, Google considers this to be a form of paid linking, so if you do decide to go this route, it would be best to do on a small scale to highly targeted blogs; for example, sending a sample of an organic weed spray to a gardening blog. Chances are, you or someone in your company is knowledgeable enough about your industry that you could provide insight and advice that others couldn’t. You might follow industry blogs or online publications to stay on top of the news in your field, but you probably have your own opinion and perspective on these happenings. 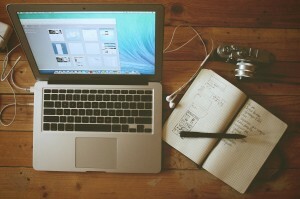 Have you ever considered writing for these websites? Next time you visit that blog, think about what’s missing. What could you share an informed opinion on, or give advice about to other people in your industry? Those are all posts with your byline on them waiting to happen. Many online publications accept outside contributions, whether they explicitly say so or not. If your blog of choice has a “Write for Us” page, be sure to read their guidelines carefully. If they don’t have a page listing guidelines for writers, look for contact information for an editor, primary blogger, or webmaster. Then send off your pitch (check out our sample template in the section below) and hope for the best! Once your idea gets approved, it’s up to you to produce a great post. Though you’ll probably get a link to your site by default, as long as you include it in your byline, it’s better for both the visibility of your site and its trustworthiness in Google’s eyes if you can get a link further up on the page, within the post. This could be as simple as referring to your own experiences with your business and linking on your brand name, or as subtle as linking to a post on your blog with more information about a topic touched upon in your post. Just remember that you are writing for people, not Google’s robots; only include a link in the post itself if it makes sense. Writing the email to pitch an editor or ask for a link can be one of the most stressful parts of the link building process, but it doesn’t have to be. The best pitches and requests are short, to the point, and get the job done. Here are some sample templates to model your own emails after. Make sure to spend time customizing them to suit the blog and your own voice. It’s great to meet you! I know you must be busy, so I’ll get right to the point. [Explain some of your credentials here, such as your role at your company.] I think [name of the site you are writing to] does a great job covering the [your field] industry, but I’ve noticed that you haven’t covered [something that is missing – your idea!]. If you have an opening in your editorial calendar, I’d love to contribute a piece about [topic]. If you need a more detailed outline, I’d be happy to put one together. I look forward to hearing your thoughts. We thought it was a great resource and we’re planning to share it with our Twitter followers [or other social network]. I was wondering though, would you mind linking to our homepage so that your readers can learn more about us if they’re interested? Either way, thanks for the mention, and I hope you have a great day! After you send off your email, it’ll be time to exercise your patience. I’ve written to some bloggers that get back to me the same day, within minutes of sending my pitch, but now and then there’s a blogger who gets back to me months later. Most professional publications operate during regular business hours, though, so you can expect reasonably prompt responses. This might sound like a lot of work – and I don’t want to fool you, it can be. But although the benefits might not be immediately apparent, all of this work is helping your business become more trustworthy in Google’s eyes. Not only that: along the way, you’ll network with influencers in your community and your industry, embrace your opinionated side, and improve your writing. Don’t have time for all that? Check out our link building plans to learn how we can do all the work for you.